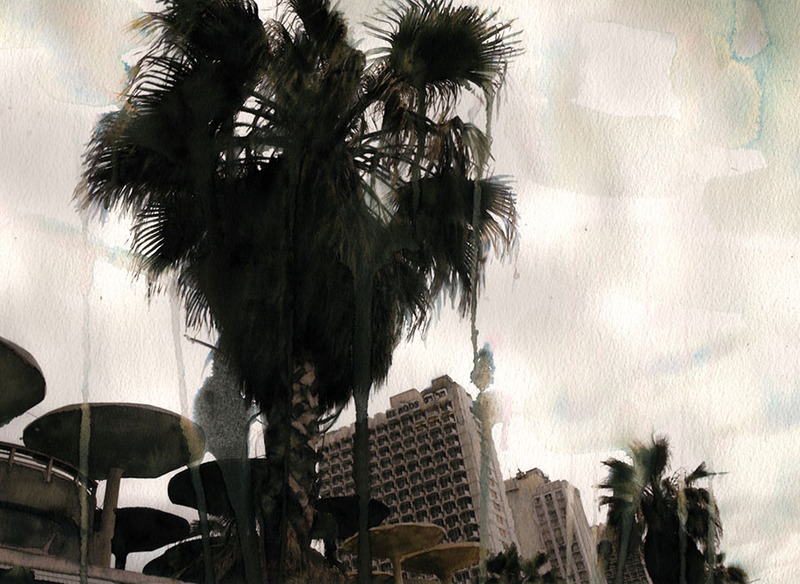 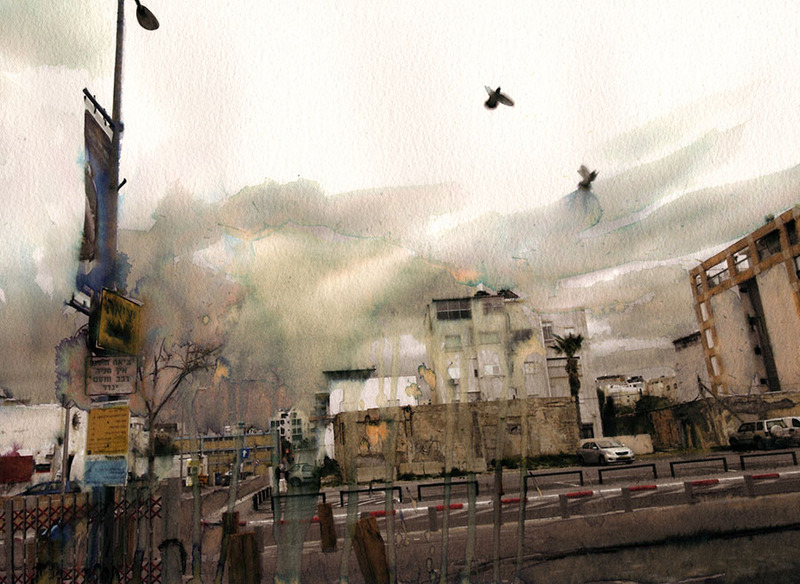 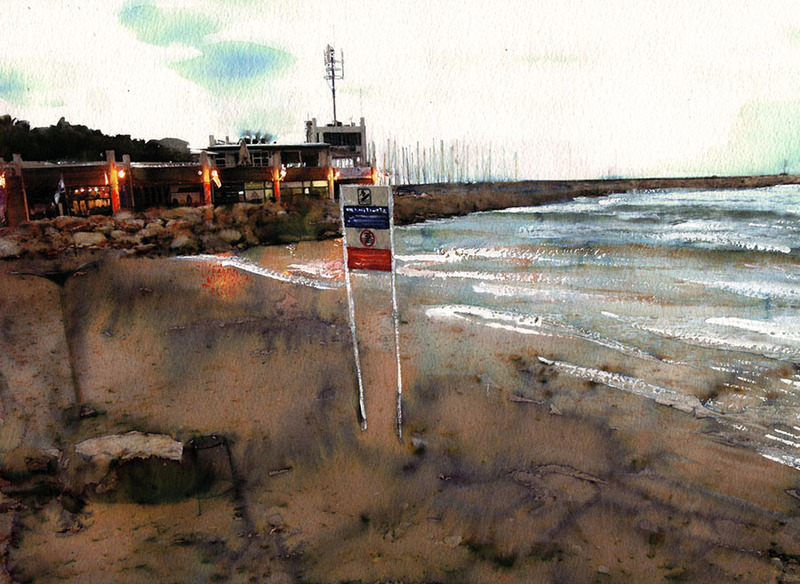 A series of Tel Aviv watercolors as you walk from the marina to the harbor. 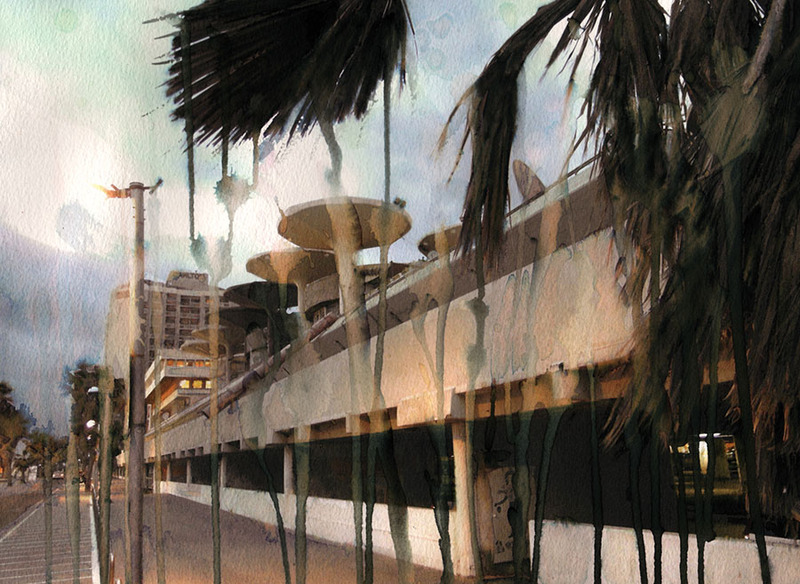 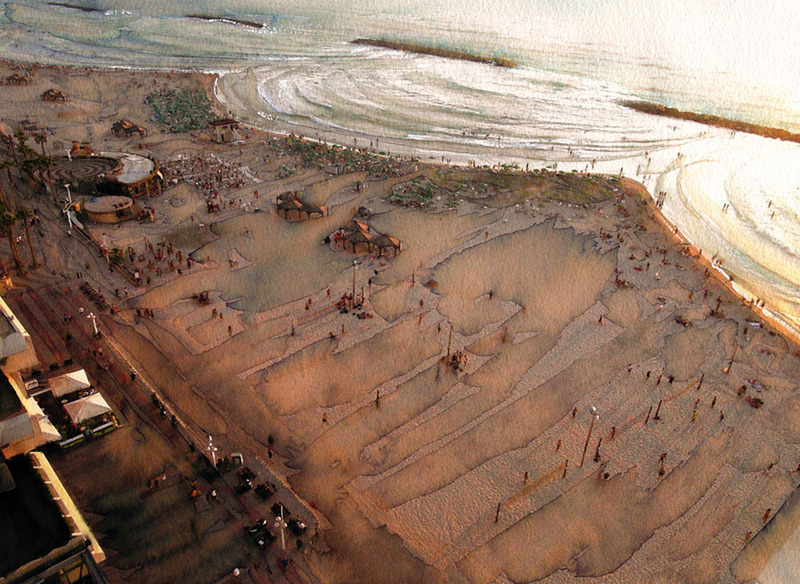 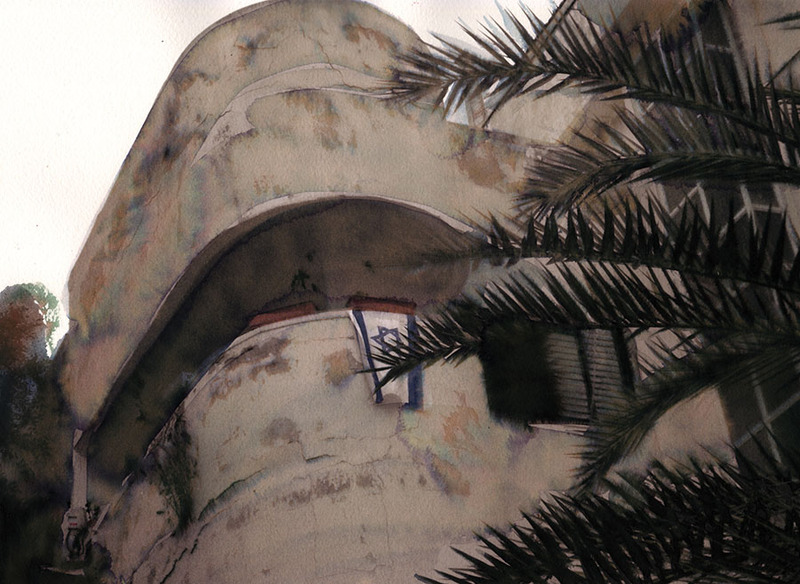 I painted those over my many visits to Tel Aviv, using reference photographs. 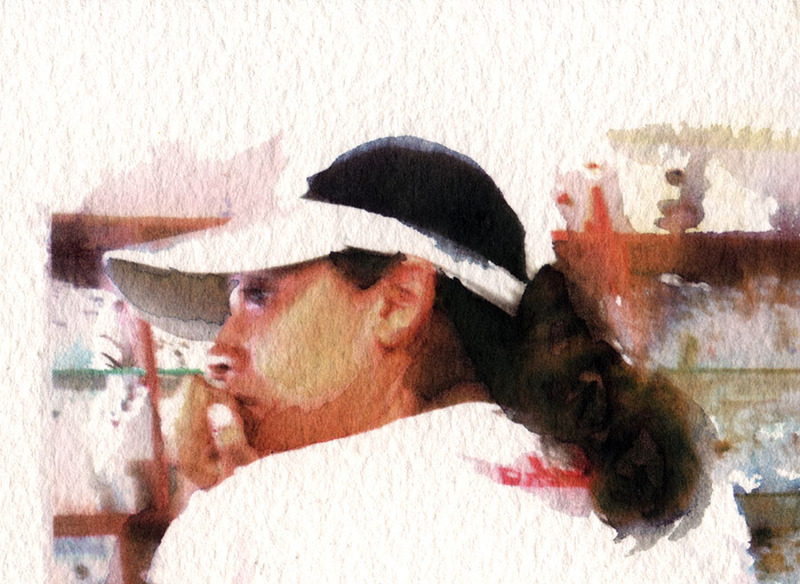 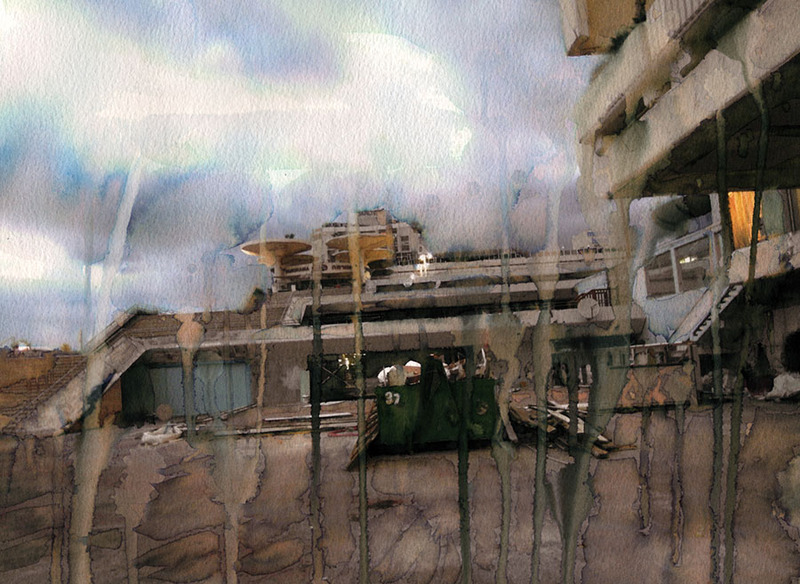 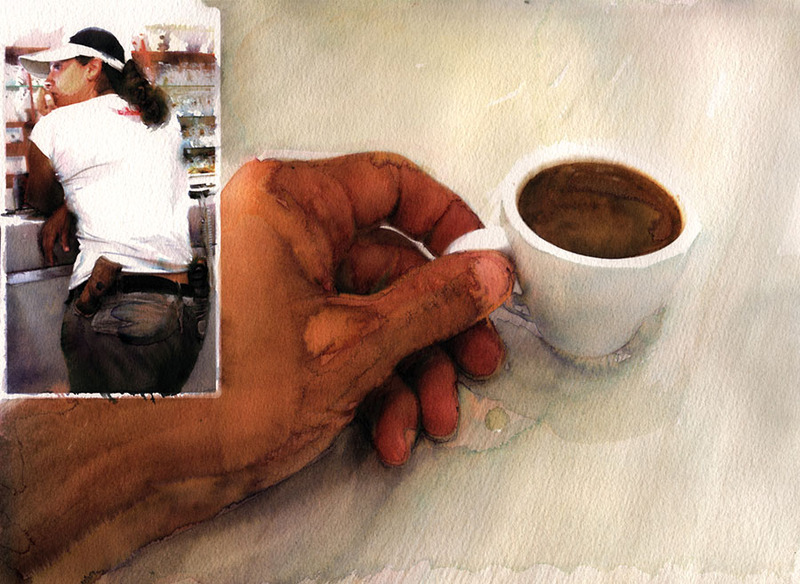 You will see that several of the watercolors mix in digital elements/photographs. 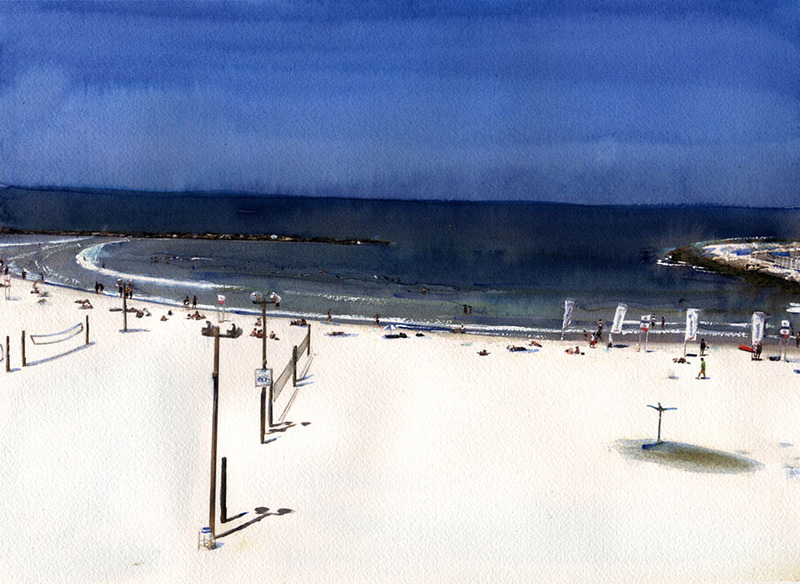 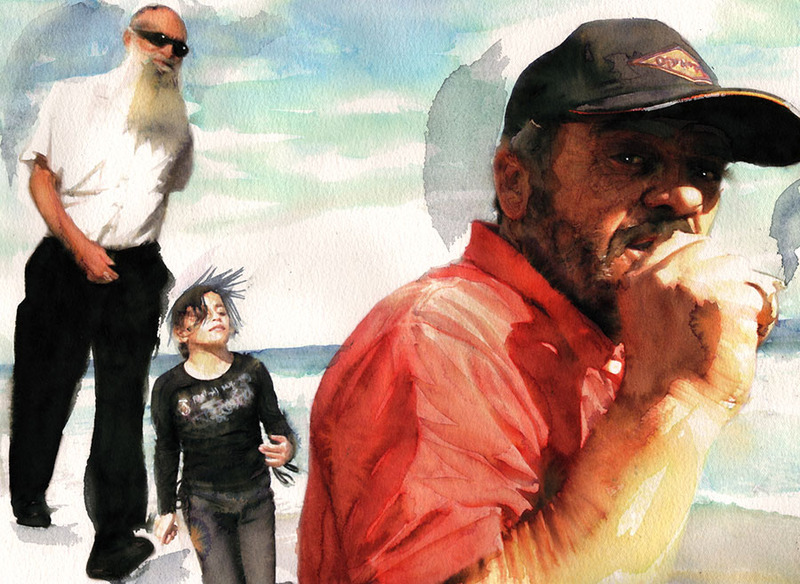 These watercolors and mixed-media paintings tell a story of early morning walks to the cafe on the harbor as I am trying to fight the jet lag, and of walking along the water in the evening towards a dinner somewhere on the sand. 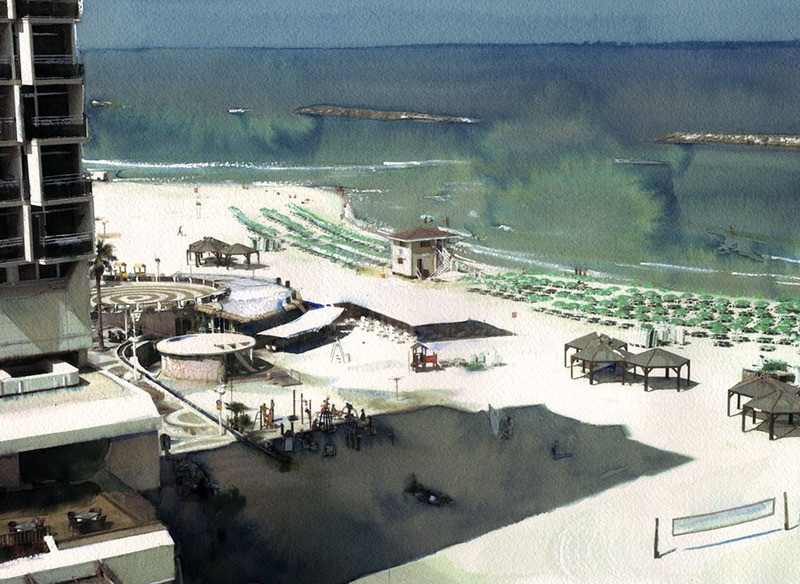 You can see more watercolors in the watercolor gallery.